Who else is so stoked that we are fully into summer? I am a Winter-born baby, but a child of the sun! This is my absolute favorite time of year. That being said, I just want to offer up a few summertime skincare products and tips to make this your most magical season yet. So I am a firm believer that when the seasons change so should some of your skincare products. It just makes sense. Nothing is static when it comes to skin, day to day weather, environment and internal hormonal fluctuations, and other variants create the ebb and flow in which we abide. We cant expect our skincare to exist on autopilot. One of my favorite switch-ups is going from a heavy moisturizer to Is Clinical's HYDROCOOL. Its lightweight, has cooling properties and doesn't weigh down your skin. Also, the cooling effect it has aids in recovery and calming of those suffering from rosacea, acne flair ups or generalized inflammation in the skin. So it feels great and light and also soothes simultaneously. 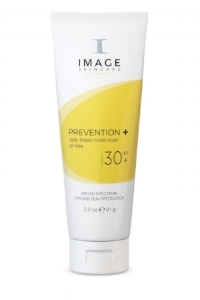 I can't talk about SUMMER without mentioning SUN PROTECTION! It just goes together like syrup and pancakes. Like Sunday and Brunch. Like puppies and cuddling. Like...OK, you get it. YOU MUST SUN PROTECT! MELANOMA is on the rise and not slowing down anytime soon. Please protect your skin. Your skin is your largest organ and it has to filter EVERYTHING. Everything from pollutants, to environmental exposures, to toxins released from our systems, to poor air quality, to dangerous rays. Help it out by shielding it and reapplying while you're sun worshipping. Your skin will Thank you, I promise. GET PHYSICAL! My favorite blocks are those that are ZINC and TITANIUM DIOXIDE based. You want the percentages to be between 5-20% Here are a few of my likes. Its can also be helpful to have a spray mist with you. Sun can be drying, stripping and leave your skin parched and dehydrated. I love Le Mieux's Essence Toner. You can also make one at home. 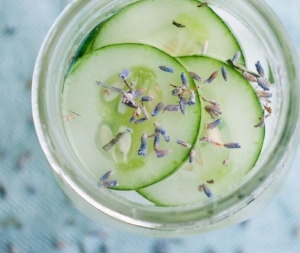 Take some cooled chamomile Tea and leave it overnight with some cucumber slices and a drop or two of lavender or rose absolute and there you go, you have your own toner. You will have to remake often as it won't stay fresh for long. So there you go, just a quick lil blurp to remind you of some options in your skin and health care game. Feel free to message me to order any products or to book your next appointment. Also, I have started a referral program. Every (3) new clients that book as a result of your referral-you will get a complimentary signature facial. So, "Thank You" in advance for your referrals and getting the word out, and I can't wait to see you on my table again. Happy summering, Loves. 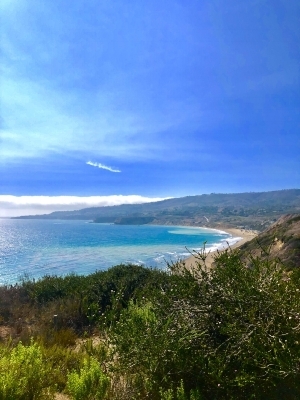 I Love how SoCal shows off! Did you just sing that old Expose song in your head? I know you did..."Seasons chaaaange, feelings change..."
As we step into April with summer swiftly approaching, we tend to have big question marks surrounding our skin. -Why does my skin feel dry and flaky? It’s warming up so why am I dry? -Why does my skin look dull and lifeless even though I am doing everything I can to bring it back to life? -Should I be doing treatments now? And if so what treatments? I feel clueless. These are very valid questions and they are not exclusive to just you. We all feel that our skin can be tricky from time to time so you’re not alone. Depending on what region you’re in the temps might be rising slightly, however you’re not completely in the skin clear. Even though it may get more climate-ly pleasing, there could also be a new strain of pollens released as well. Flu season, different pollens, winds, fires, rains all contribute to our skin’s temperamental behavior. An easy solution for a lot of this issue could be product(s) change. We should all be mindful to have Winter/Spring/Summer/Fall skincare routines and products. Our skin doesn’t stay the same all year long so to best care, treat and prevent our beloved skin, our skincare routine should also adapt to the season. 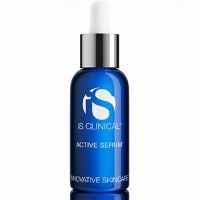 A constant is our IsClinical Active serum. It’s great for acne prone or problematic skin types, but also great for reducing the appearance of fine lines and wrinkles. If you are bothered by your pore size this also diminishes the look of enlarged pores. For all the Rosacea sufferers out there, there is help. We have Pro-Heal from IsClinical. This serum bolsters the immune system of your skin by providing antioxidant protection and helps revitalize the life of compromised and aging skin. We also have SkinCeuticals Disco serum for, you guessed it: Discoloration. This product is brand new from SkinCeuticals and we brought it on board for you. You can wear this product AM or PM and it will help fight the effects from the sun. You will want to limit your sun exposure with this product but it is a great product to have in your arsenal for bright radiant skin. Stay tuned to hear about our new rich and delicious night creams…There is so much good stuff to come. As always, We here at SkinSacred & Marina View Skincare wish the best for you in beauty, wellness and happiness. Like everyone pretty much around the world gets into a reflective mood this time of year, I do it collectively and singularly as the "last day of the world" happens to also be my birthday. I have always been very reflective and pensive and somewhat superstitious on December 31st. I collectively, with the world, reflect on events from the past year we shared as a community-the good, the awful, and the in betweens that still has us scratching our heads. I also go introspective within myself-the way anyone might on their birthday. So I feel I get it from all sides. For me the energy is strong on my birthday and I've always chosen to bathe in it and harness it. This year I came up with 4 WORDS that I want to be my theme for 2018. I have done other ritualistic things for a new year but have never picked words to embody my new year ahead. 1). UP LEVEL- I WANT EVERYTHING IN MY LIFE TO BE UP LEVELED. This by no means is a visual of me sitting around waiting for total awesomeness to come to me. In fact, the actual defining thought of UP LEVEL means I, in fact, must Level Up. I am raising my own bar. I am redefining my own standard. I want to up level my career, my professionalism, up level the way I love and am loved, up level how I show up, how I am of service to my friends, community and the world. Up level my communication and reactions to upset. Up level my relationship with God and Spirit...I think you get it. Side note-I heard T.D. Jakes talking about how he met with Oprah for an interview and took her a builder's level. He said he wanted to gift her the level because she inspired him so much. She has mastered herself and her life. He said to her, "You always keep the bubble in the middle". She's on the level. Not only does she have an impossibly high level that she has made possible, she is able to stay balanced and keep the bubble in the middle. I thought that was a great visual for me to carry with me...an internal level. 2). INCREASE- Quite similar to up level, INCREASE for me is the leaning into abundance on all levels. We are attacked with the idea of lack in all areas of our lives from finance, to health, love, job security, energy, creativity, the list could fill up my entire blog space. So I am choosing to repeat the word INCREASE to myself. This is what I am choosing to put in my head as a conversation. And the opposite, which is lack, I am simply not interested in. I will see increase in everything good and beautiful on my behalf. After all, The Universe is here to support us. 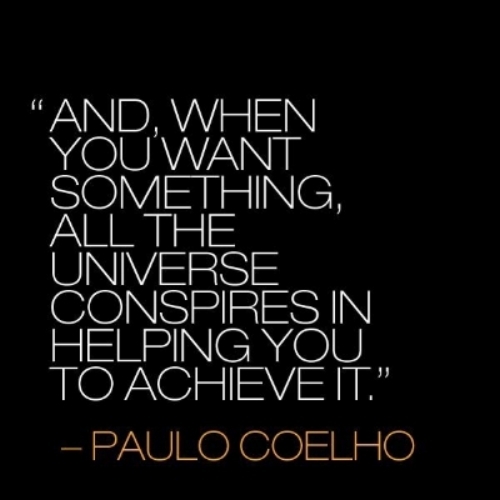 The Universe's greatest desire and purpose is to offer us its greatest at all times. Don't get me wrong, exercises such as coloring, painting, journaling, going on walks, staring open-mouthed at a glorious sunset-these things are never a waste of time. In fact, they are soul feeding and DNA reparative. However, someone like me needs to have a plan in place. NO MORE TAKING A LONG TIME TO LEARN THE LESSON. Enter the word INTENTIONAL. This word in action can be and is life-changing. Everything we do must be ON PURPOSE. We have goals, markers, desires. Are the ways we are spending our time and energy keeping us on task and on purpose? Asking ourselves this question will really trim the fat and fluff. There is so much power and streamline force that comes with strong intention. We get 1,440 minutes in a day. How will I squeeze every bit of possibility out of those minutes? 4). SOVEREIGN- I can control nothing in my life if I cannot first supremely control myself. This means that I must remain unshakeable, unwavering, tenacious and in total control of how I show up, speak, respond and exist. Its really a beautiful and extremely powerful notion. This does not mean I am bull-headed and inflexible. It means that I hold myself to a standard within myself that does not dip or give way to shenanigans. All the mentors I glean from demand that there be a high level of discipline in oneself. This is what I mean. I am responsible FOR EVERYTHING in my life. That's it. And I will be the ruler of myself. There's also a royalty and majesty that comes when one is steadfast within themselves and can draw all the information they need internally. 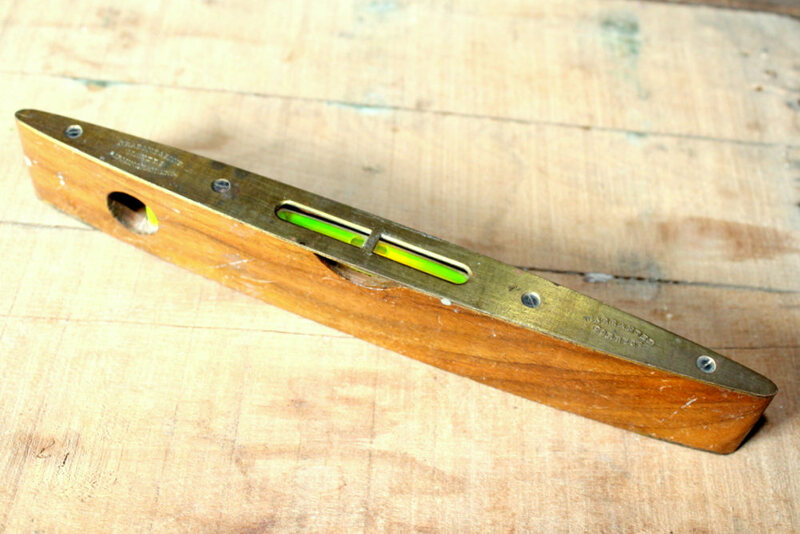 I have looked so much and for so long for indicators outside myself. That is not the way. Every answer we need is within us. I know this sounds hippie woo-woo, but it is the absolute truth. It is all within. Even our physical bodies give us indicators, nudges, ticks, alarms. Its on the inside. And if I allow myself to become very acquainted with the sovereignty that dwells within, my external queendom will be far more peaceful, effective and copacetic. What are your words for 2018? 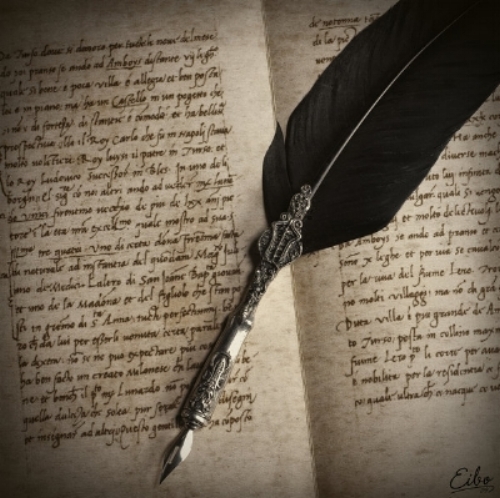 If not words what is your theme, your vision? Not just 2018 but for your entire life? How would you like to see your life play out? If you haven't previously created a vision try it. Let yourself explore. I pray you go into 2018 with great health, energy, vitality, abundance and a vision that will change your life and the lives of the ones you love so dearly. 2018, we are coming for you. STRESS: Get Out of My HEAD & Don't Touch the HAIR! So let me start this post by admitting there are a few "selfies" as I am drawing from my own challenges for this blog post. Ok, So now that's out of the way...Let's talk about STRESS. I am a hippie. For real (insert peace sign emoji here). I rarely wash my hair. I let it dread up and my hairstylist probably thinks I cheat on her because I am so infrequent with my delightful visits to her. I have gone Vegetarian. I have to closely monitor my thyroid. I have to supplement my adrenals as I have suffered from complete Adrenal shut down in years past. I have been under a lot of stress the last several months, and have been focused on my business ins and outs. This is by no means a sob story...as a matter of fact, this could be everyone on any given day. I am merely setting the stage for you. So about 3 weeks ago I started noticing hair on my car seat. When I got up some of my hair didn't go with me. I would be at the gym putting my hair up in a top knot and a small little collection would stay in my hands. I thought it was odd. And I would find a small few hairs on my bathroom floor (more than what's ever been normal). Let me just disclaim: I am EXTREMELY AWARE OF MY PHYSICALITY. I am very in tune with my body inside and out. I listen to every tic. I notice every nuance and I am in sync so I listen to my body's communication with me. I knew I had a hair appointment on the books so I thought, "I am going to ask Natalie (my hair dresser donning my same namesake) if she can tell if my hair is thinning or if my hair overall feels thinner just so I can confirm its not just in my head. No pun intended. Sure enough I walk in. We exchange our love and hugs. She asked me what I wanted to do. I told her I wanted to play with either a really cool blue grey or crazy white blonde. I just wanted a change. She looks at me for a moment then asks, "Hmmm...Do you feel your hair is thinning? Have you noticed your hair falling out more?" My heart sank, but I also felt a little satisfied that it wasn't just my imagination. She confirmed my concern. She said women that have periods of stress can lose hair. And add vegetarianism and my thyroid to the mix and we have a cocktail for the perfect storm. She was unwilling to do the crazy bleaching that would have to be done to do the funky grey or white hot blonde. She didn't feel comfortable. I totally got it and was appreciative of her conservative and protective stance. Her hair was on point however. I asked her what she did to her hair and she told me it was "ROSE GOLD"...SOLD! I gave a high five and that's what we started to do. She was going to deposit color vs. stripping, at least for now. Let me just say I am OBSESSED with this demi (washes out easily) permanent color. And she also cut it and styled it so I can "fake it 'til I make it"...It will take some time to get back to its normal fullness. So until then we cheat it. I also have felt lately I needed to increase my vitamin/mineral/supplement intake. That for me is just par for the course with being vegetarian. I have a slight build and don't hold muscle easily so it is imperative that I get the appropriate iron, B-complex and multi-mineral help. So if you find yourself in a period of stress or work overload or you have had a recent surgery or just delivered a baby your hair could be thinning and if you've "thought" this could be so it is not your imagination. I am going to list some supplements that I have recently purchased to assist me in getting back to a strong, protein rich, iron sufficient and B-Vitamin steady. Most often your hair growth and cycle will recalibrate and get back to a normal place of homeostasis. So don't get too overwhelmed by it. Give the cycle 3-6 months. And let me also encourage you to pick a hairstylist that wants to have a relationship with you. That goes for anyone who offers you a service. Your skin therapist, your massage therapist, healers, doctors, pilates instructor, life-coach...you should feel that you have a symbiotic relationship with this person. They listen to you and understand your goals and challenges and make their professional decisions accordingly. Natalie has been doing my hair since 2013. She knows my hair, how it feels, how much I have and how it reacts. All these people who have the privilege of working with you-make sure you trust that they care for your best. I was so grateful to Natalie that first of all, she NOTICED my hair dilemma without me even saying anything to her. And she did so within the first minute and a half of me being in front of her without even putting her fingers through it. To me that means she pays attention to me and is also concerned. So, "Thanks Nat!" ...Not to mention, I LOVE the color. A couple of tricks and tips that can also help: Put a drop or two of peppermint oil with a tiny bit of coconut oil or any base oil you have around (Argan oil, Rose Hip, Grapeseed) and give yourself a scalp massage. The peppermint is invigorating and stimulating. If you've noticed weird hair loss in switching birth control talk to your doctor. That particular pill may not work best for you. 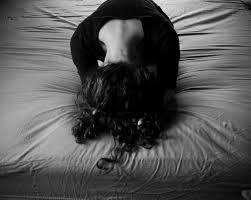 Yoga, bodywork, meditation to alleviate the onset of stress will help overall as well. And cool it on the over bleaching until you get back to a safe point. Deposit awesomeness into your hair. Do a hair mask or a healing scalp therapy. Put in for a while before you start taking away. Hair growth is cyclical. Life's ebb and flow is also cyclical. Be gentle with yourself and help yourself in all of life's processes by being kind to yourself. You'll get to a state of healing and wholeness far sooner with love than with vinegar. You know the saying, "You get more bees with honey"...Be sweet to yourself. Happy Holidays to you All. Enjoy your loved one, and take a moment to reflect on every single thing you are grateful for. The blessings, the high points, the struggles and the lessons-they all will soon help in revealing your greatest version. It is so exciting to watch ourselves unfold into a better, new and improved creation and form. "As within, so without"...And what that ancient quote has to do with PCOS and your SKIN! 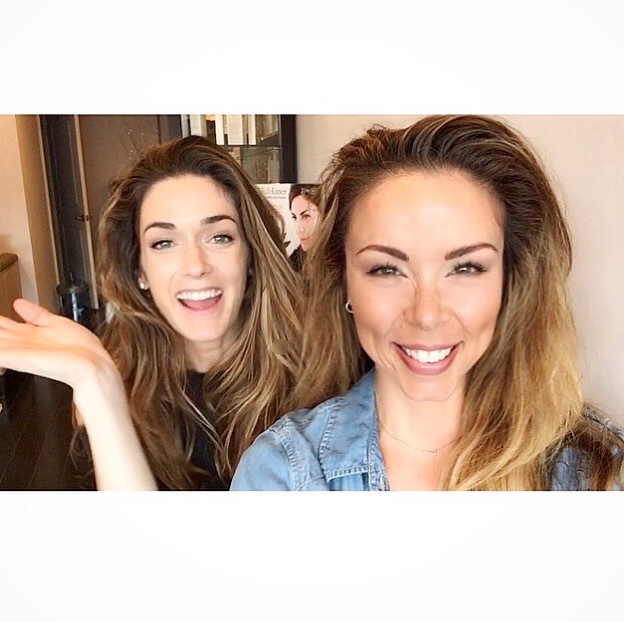 So, if you saw my IG post a few days back @skinsacredbynataliebolton you saw my beautiful client, our funny video and her horrifying before pics. I am obsessed with research. I have for a very long time believed that our bodies and our system communicates with and to us in such a Divine and intelligent manner. Our job is to learn the way it communicates and learn to speak its language. 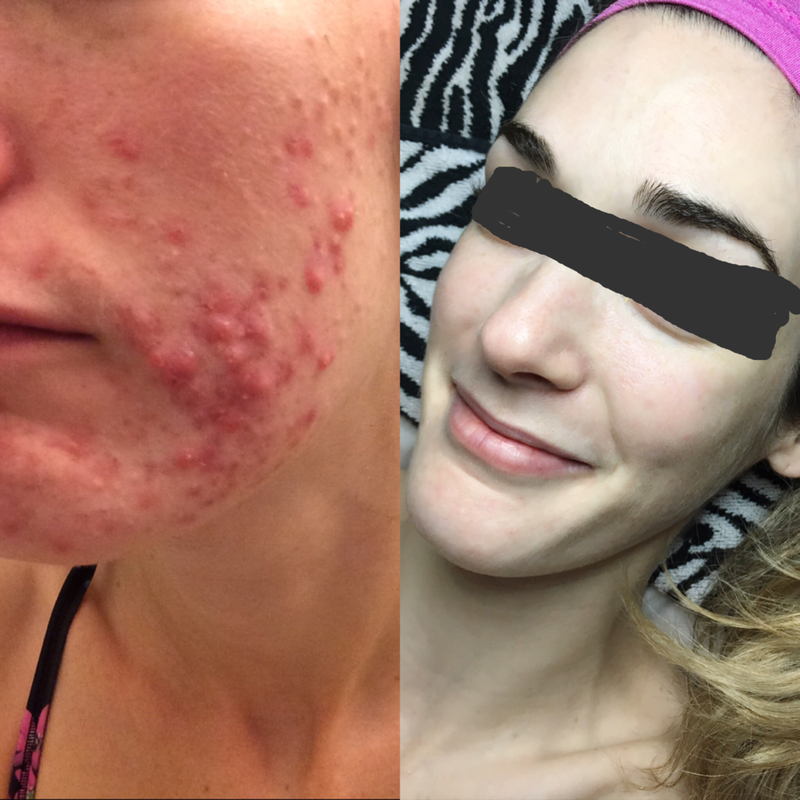 Her acne was so acute and looked different than your basic "acne"...I spent so much time trying to decipher its cause as I knew it was something that had gone very wrong...on the inside. Then, suddenly so many other clients started coming to me with the same skin. It quickly became an epidemic. There was a root cause, therefore there had to be a solution as well. I. Was. On. A. Mission. I was seeing a running theme on my treatment table. Clients would come in for the first time having read my YELP! 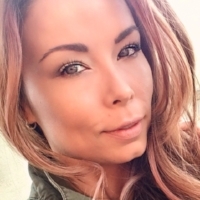 reviews on the Beauty Boutique LA Yelp page or the Skin Sacred by Natalie Bolton Yelp page, hoping that since I have helped others I can possibly help them with their skin. I had new clients walk in and fall on my table completely drained of all hope and exacerbated from the long ongoing battle with their “acneic” skin. I have also had clients burst into tears from the emotional toll their problematic skin has had on them. Skin problems are no joke. Not feeling able to step into the world “face forward” can really hinder a healthy mindset. I am a lover. I feel the pain of my clients. I want to alleviate their pain and soothe their heartache with solutions. But I am not a god and I don’t have all the answers. But what I have done is paid attention. I see similar running chords emerge from the abstract and then I research. The beauty of such intelligent design in our bodies, skin, organs, and hearts is that alarms will sound if any alignment is off. Your knee will tell you it’s in pain if you went too HAM on your leg workout. Your kidneys will ache if you haven’t been drinking enough water. Your heart will break and you will feel anxiety if you remain in that relationship that is no longer serving you. And your skin will throw a temper tantrum if something internally is going on that is not working for the overall thriving of your body. We tend to forget that our skin is our largest organ. OUR SKIN PROCESSES EVERYTHING. So if it gets moody, THERE IS A REASON. Back to my treatment table and my frustrated clients. I started to realize some similarities. These particular clients presented bizarre “acne” blemishes. Not your normal individual that comes in for a generic “deep cleansing facial”. Yet, at the same time this breakout wasn’t really “ACNE”. Some of these clients had some excess facial hair. Some didn’t. Some had divulged a thyroid issue. Some not. I started supplementing my clients with different minerals and body boosting nutrients. When it continued beyond my scope, I referred them to have blood work done with my registered Dietitian. This particular expert infuses Eastern and Western philosophies into her practice. My belief system in healing is in alignment with hers, and I feel that is very important when I am placing my clients in the hands of another health professional. From my research I was under the impression that these clients might be “high androgen”, “high Testosterone”, or an undetected Thyroid issue. Sure enough-blood work would return high this, low that, elevated this, under-active that. So this text exchange came from a newer client who also fell on my table overwhelmed with her skin struggles. I thought she would be a perfect fit to see my dietitian. She had all her levels checked, and there were a lot of things off internally. She hadn’t had her period in over 5 months, and her skin was telling us that something was definitely amiss. The dietician supplemented her with the appropriate endocrine support. Not only did she start her period again after 5 months of her body not functioning properly, her skin is clearing. She started her period literally after only a week of internal treatment. It has taken some time for her whole “house” to recalibrate, but it is recalibrating for the good, nonetheless. I have included a link to the Wikipedia definition for Polycystic Ovary Syndrome here. Your own personal research can start here. And the purpose of this blog was to replenish you with a little encouragement if you have lost all hope in regard to your skin. If something is happening or going on we just need to learn how to understand your skin’s language. And if you have PCOS, there are ways to treat and alleviate these annoying symptoms to a degree. And always remember, feel free to email me at: info@skinsacred.com in the "contact" tab if you want to talk or have questions. I can treat your skin and also point you in other health directions as well. And please pass this information on to anyone who you know that is so desperately suffering from problematic skin. You may just lead them down the road to healing. I believe we are not meant to do life alone. I don’t claim to have all the cures or the answers; this is why I have a broad network that supports and enhances the whole body. Because when your body is happy your skin will reflect accordingly. Please know THERE IS HOPE! Thankful. What does that look like? So I think by now have all heard the quote or seen the meme below. 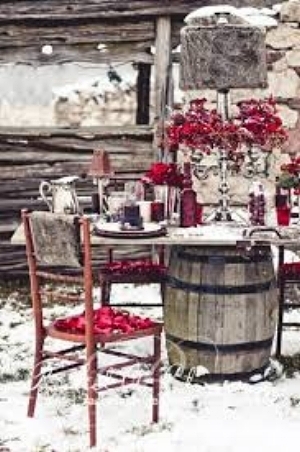 I want to take us on a quick gratitude journey back in time as the season is fitted for such a thing. We as humans have the tendency to trudge on in a perpetual state of hyper-focused, anxiety laden "to-do's", accomplishments, and the desire to get to the apex that reveals our "arrival". All this turmoil is usually absent of reflection. Maybe it is a survival skill of millenia that has kept us thriving as a race? I think we are short-siding our benefits by NOT going back and looking at our life. Remembering the times we were fervently crying out for direction? Or the times we felt so hopeless because we couldn't step into our purpose because there were no signs pointing us in the right direction? Remember the time you had to choose to buy dog food for your pet over buying your dinner for that night? Think on these things. Hold a space for gratitude. These are the threads in our lives that weave the most beautiful tapestry that is our LIFE. We are here. We made it to this point. Those things we ached for-we either got them or there was a lesson learned, but we survived it and I know we are stronger for it. This is what I want to make my "Thanksgiving" season about. Taking the time to honor my spaces of disappointment, struggle, conflict, heartache, confusion, and painful personal growth. I'm on the other side. I survived. I probably even learned a lot about myself in the process-good, bad, ugly, undesirable and downright gorgeous. LIFE is messy. Life is not linear. Life is not easy. But I can say, "Wow! That thing...It is here now. Thank you." And we will encounter times of trouble and hardship on some level again. Be it financial, relational, emotional or we lose our passion and our drive becomes stale-we will surely hit a rough patch again. However, it's these moments of gratitude that can carry us over the next bridge suspended over dark waters. I hope that if you are in the difficult space even now that you are able to remember a time you overcame. It can be the window you need to look through to see that the sun is actually shining. The warmth is out there. Another great way to feel gratitude is beautifully and succinctly delivered in this quote by the late Audrey Hepburn, "As you grow older, you will discover that you have two hands, one for helping yourself, the other for helping others." There is no quicker, more powerful way to step into a grateful and thankful heart than the action of immersing yourself in helping someone else. It is a beautifully designed phenomenon. When you give of yourself to another-your spirit elevates. Being of service is one of the greatest things we can do for ourselves. So I leave you with these thoughts today as we move into the holiday. Thank the heavens above for guiding you. Thank yourself for the grit it took to fight and for listening to your intuition for guidance. That gratitude will lead to much more opportunities to see reasons and evidence of other miracles that have taken place in your life. Besides...Gratitude in our hearts is the greatest wrinkle-fighter ever. A beautiful face is a hydrated and nourished face! The season is fast approaching of biting winter wind, beenies and the hyper-cranked heater. I'm going to give you a quick list of products that your face will thank you for. And by being thankful I mean your face will stay dewy, healthy and radiant all winter long. 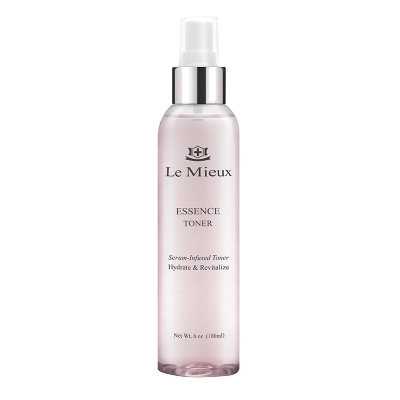 Le Mieux Essence Toner: This stuff is amazing. I spray it right after my bath on my bare face then again after my makeup. Its the perfect set up to my day. 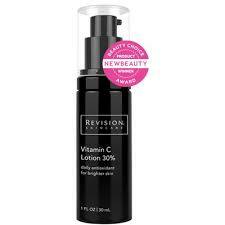 Revision Vitamin C 30%: The richer more robust version of its 15% counterpart. Great for harsher weather. 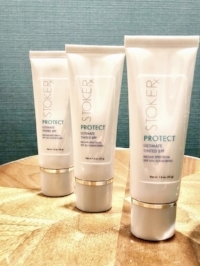 The brightening, anti-oxidizing, and hydrating properties make this the TRI-FECTA of awesome! 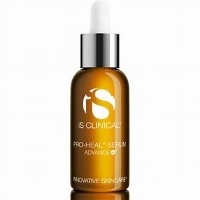 Is Clinical Hydracool: This serum is bomb! It pushes in moisture and locks it in for the entire day. Give this fuel to your face, it is well deserved. So there you go. A quick list to make your winter wonderful and bright. This is my first blog entry here at skinsacred. And it seems to only be fitting that I would be talking about women and their strength. Skinsacred which houses my work in the beauty industry be it acne healing, wrinkle diminishing, preventative care etc., skinsacred is also my celebration of the human spirit male and female alike. But today I want to focus on the women I get to surround myself with in life and on my treatment table. I have the beautiful pleasure to be amongst badass women simply by proximity and 'work hazard'. I am inspired by them every. single. day. Being in the industry I am in-there is a permeating fog of achievement, stay young, don't dare be less than perfect, and don't even think of letting that under eye wrinkle show lest you be damned by the entire Southern West Coast. Its comical and ridiculous at best and crippling at worst. 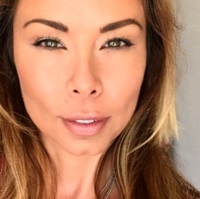 My vision for skinsacred is the internal work of the human spirit: The strength, the tenacity, the compassion, the ability to rebound from disappointment and how we move through these spaces in grace and sophistication is my obsession. This process is ultimately reflected externally revealing one's authentic beauty. I get to spend time with older, more seasoned women whom I feel honored to glean from their unparalleled experience. I get to love on younger women that are full of fire and focus and frustration and its glorious to watch the unbridled energy morph into laser sharp effectiveness. I see both sides of the coin. I see the pluses in both. Every part of the women I see has enormous take-aways. This idea of "anti-aging" or more accurately, the blocking of the idea of expansion, elevation, experience and growth is so wildly counter-intuitive. We have been programmed to avoid the 'mature' and embrace only the freshness of youth. It has always been my mandate to encompass it all...encompass US ALL. The bright-eyed ladies of today are and are becoming Battle Ready. Warrior Princesses. Goddesses. Sharpening their minds and hearts as weapons to take on the evils of the world. Its truly inspiring to see women acting on issues that they are passionate about and affecting change for these issues. The women that come before us are Battle Tested. They are our Warrior High Priestesses, the Divine Mothers. They are conditioned. They have fought the good fights. They have paved the way. They mother us into our power. They give the voice of certainty and steadfastness when we become shaky. They have endured divorce. They have been on the other side of cancer. They have suffered as they have outlived their own children. They have seen women's rights grow, stagnate, and grow again. They have come to the creaky, high-hanging bridge and they've traversed to the other side. These women are proven, tried and true. They are BATTLE TESTED. 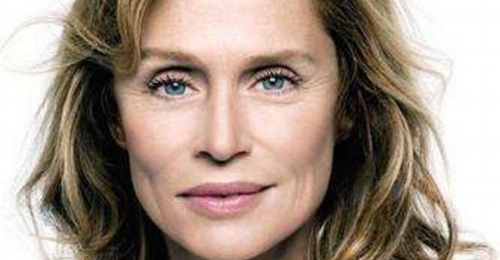 So what's in the phrase "anti-aging"anyway? I reflect on this as I have been guilty of the old anti-aging hash tag myself. And as I think about it...I don't even believe in such a thing (my clients would even tell you so). But by operating on auto-pilot I have myself used that tag simply to get people who are interested to check out my thoughts on products and beauty. Anti-aging is a diss, or fear really, of the most beautiful natural process of life. In fact is is the very thing that is LIFE. These are the very opposite things of what anti-aging would be. So the problem is that we embrace, with fear, the very thing or taboo idea we should actually be so grateful for. By resisting the unfolding of our lives we block and shut out and refuse the very things that make our lives fulfilling. I've said it in writing before, we must embrace beauty in complete acceptance, gratitude and in power. There's no value in coming at beauty from a place of fear or resistance or from a sense of lack. Beauty is in the eye of the beholder, meaning: When we focus on all the beautiful things that we can feel in our hearts, the visual confirmations that make our lives full, the silent successes we can hold close to our chests-WE ALREADY HAVE THE BEAUTY INSIDE US. IT ALREADY EXISTS. THERE IS NO ENHANCING. There is no magic cream. potion, or spackle that can heal our internal health or sickness. We must celebrate our own process. And as I close I just want to give a super enthusiastic, "BIG UPS!" to all my BATTLE TESTED WOMEN who inspire me everyday, and say "Thank You" for setting the example. And to my BATTLE READY WOMEN, we are all in this together. May you never feel alone. May the twinge of fear, inadequacy or scarcity never permeate so deep that you actually believe it to be true for one second. You are in your conditioning phase. You are molding in and taking shape. It is a glorious place to be. To ALL the amazing humans out there, May we always move in Grace and Lead with LOVE.